HOMO and LUMO energies, absolute hardness and electronegativity of 34 derivatives of pyridine and halides of tin, zinc, cadmium and mercury have been evaluated by DFT method using CAChe software. Pyridine derivatives have been considered as base(B) and metal halides as accepters(A). The metalligand bond strength has been measured by charge transfer ïN, and energy lowering ïE values, derived by solving the equations-ïN=(ï£o A- ï£o B )/ 2(ï¨A +ï¨B) and ïE=(ï£o A-ï£o B)2/4(ï¨A+ï¨B), (where ï¨ is absolute hardness and ï£ is electronegativity). The ïN and ïE values indicate that metal-ligand bond strength is strongest in SnCl4 .2L(L=ortho aminopyridine), and weakest in SnCl4 .2L(L=para nitropyridine). A comparative stability of metal-ligand bond in 204 complexes has been presented. 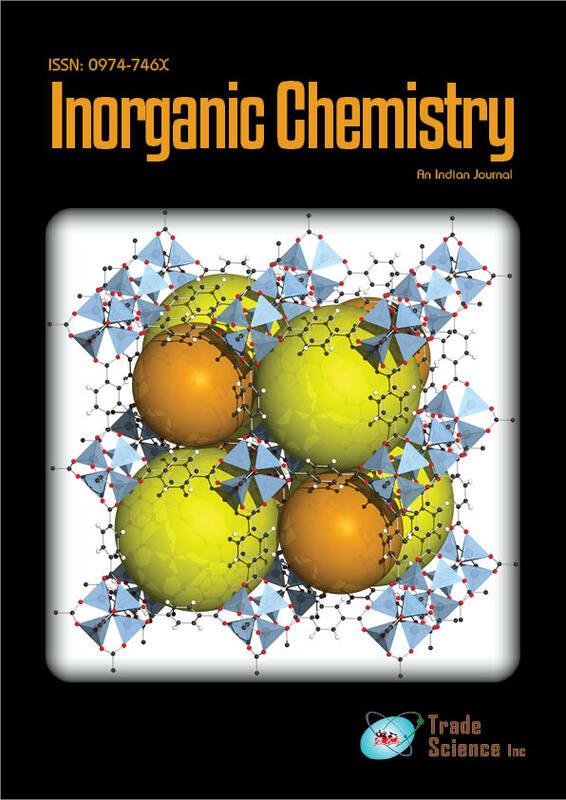 The effect of ortho, meta, para substitution on metal-ligand bond is also reported.